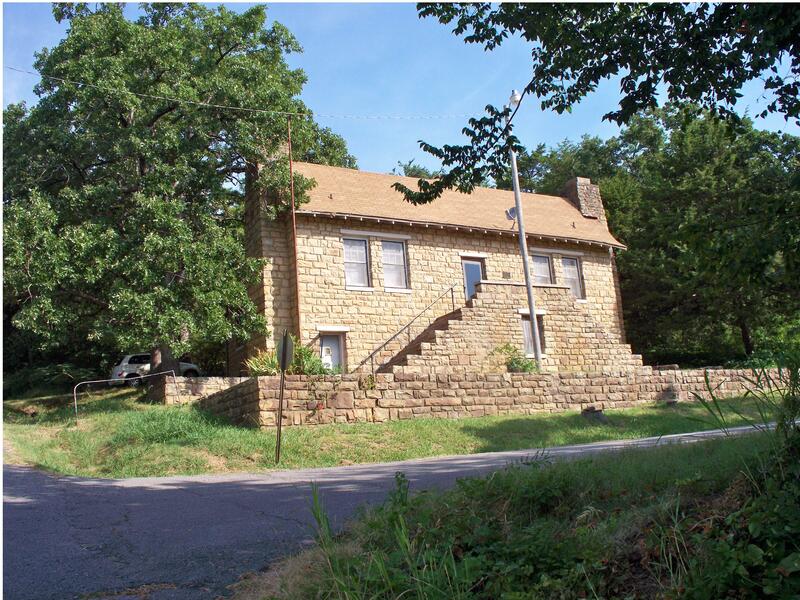 Initially a multi-purpose facility, the Poteau Community Building is a two story, essentially rectangular (39′ x 35′) structure constructed of rusticated and coursed native sandstone. 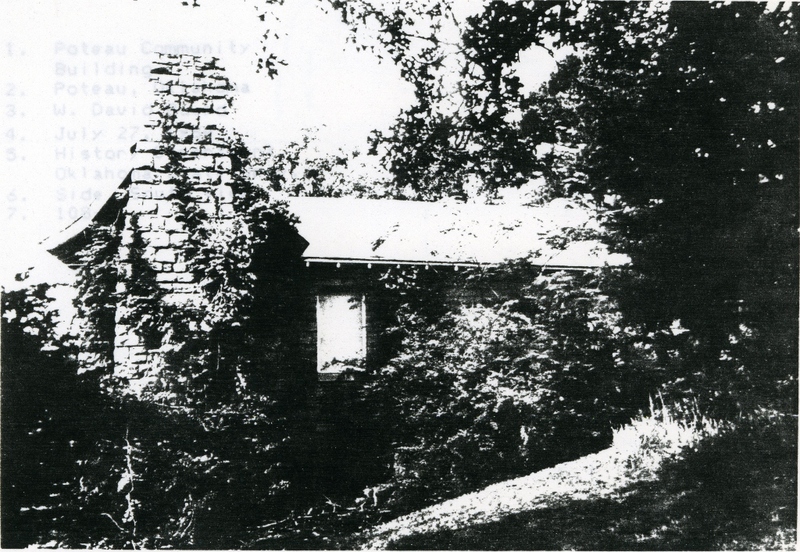 Now covered by composition shingles, the roof is composed of intersecting gables and valleys; exterior chimneys are at either end of the front portion of the structure; wood sash windows are most often placed by twos between concrete sills and lintels. The second level, main entryway is reached by two sets of steps that run parallel to the building and form an inverted V; beneath the steps is the entry to the lower level. The bottom floor extends back into the hillside. 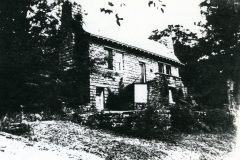 Adjacent to the structure are two Bar-B-Que pits and six tables with benches. 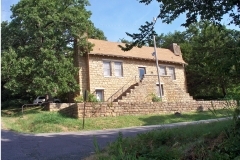 As a WPA multi-purpose community building, the Poteau center is unique in that it is two story, partially earth sheltered and has a second-level entryway reached by twin sets of stairs. 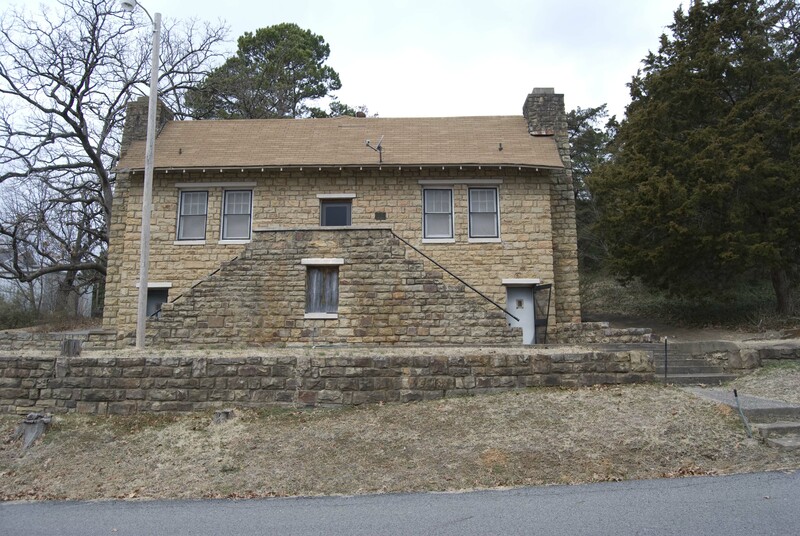 These same features make the structure significant architecturally within the Poteau community, as does the type of building, construction materials and character of workmanship. It is also notable because the task of building the structure provided jobs to individuals on relief rolls who theretofore had faced the prospect of starvation.